I thought I'd give a go to the Bird Watching magazine #My200BirdYear count for the New Year. I'm notoriuosly bad at keeping records and as I was helping Dave Thomas lead a walk on the Camel trail on New Years Day morning I thought it might be a good idea. Anyway I started off with 33 species for Day 1 so only another 167 to go! It was crappy wet weather so my only photo is "one I took earlier" of a peregrine which put on a great show coosing the group of ravens that looked to have been on a sheep carcass in the fields. I now know the group of ravens to be "an unkindness" of ravens! Thanks Mike Scawin! So here are my first birds from 1/1/2017, not necessarily in the order spotted! 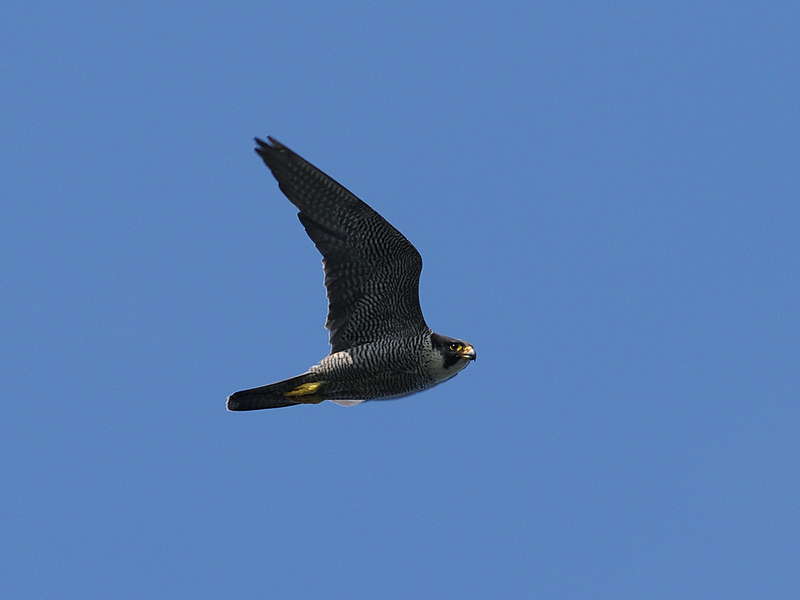 Stunning capture of the Peregrine Falcon. And some list of birds you already managed to see.